Scientists at NCI and Frederick National Laboratory for Cancer Research (FNLCR) are partnering with the Lustgarten Foundation to test whether a vitamin D derivative will make a difference when combined with a conventional anticancer drug in treating tumors of the pancreas. The preclinical trials will be carried out in genetically engineered mice and represent the first in a series of new therapeutic approaches to be developed and evaluated under a collaboration between the NCI Center for Advanced Preclinical Research (CAPR) and the foundation, the nation’s largest private funder of pancreatic cancer research. 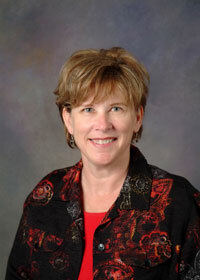 CAPR is headed by NCI’s Terry Van Dyke, Ph.D., and staffed by FNLCR researchers. The initial study will test the effectiveness of combining calcipotriol, a synthetic derivative of vitamin D, and gemcitabine, a drug used in cancer care, in extending the lives of patients with pancreatic cancer. Using a genetically engineered mouse model for pancreatic cancer, the study will assess how well calcipotriol and gemcitabine can penetrate the notoriously stubborn connective tissue in pancreatic cancer. If the approach works in mice, it is expected to be tried in human clinical trials. The study is being led by Lustgarten grantee Ronald M. Evans, Ph.D., a professor at the Salk Institute for Biological Studies, and Van Dyke. Evans previously examined the effectiveness of calcipotriol in preventing scarring (fibrosis) in the liver, which is similar to the changes that occur to the connective tissue, or stroma, in pancreatic tumors. He found that the vitamin D synthetic prevented liver fibrosis. The question is whether the effect can be repeated in pancreatic cancer stroma. “Our partnership with The Lustgarten Foundation enables us to extend promising discoveries from expert scientists, as with the Evans project, and, in collaboration, apply them to the development of treatments for cancer patients,” Van Dyke said. The approach takes advantage of CAPR’s vast expertise in preclinical model evaluation, along with the extensive integrated technologies of FNLCR. “If this study confirms that this therapeutic combination designed by the Evans group has a positive impact, it could be the key to unlocking further improvements in treating this deadly disease,” she said.